The chip maker has announced a secure application processor for PCs and tablets which includes an NFC interface and is designed to handle keys and credentials. Broadcom has announced a new system-on-a-chip (SoC) secure application processor that includes built-in NFC capability. The BCM5882 is aimed at PC and tablet OEMs and is designed to securely store and process keys and credentials while keeping them out of the host system’s memory. The chip is built around an ARM Cortex M3 processor. It includes an integrated Trusted Platform Module (TPM) 1.2 secure cryptoprocessor, on-chip fingerprint authentication processing and can run custom secure applications. An integrated RFID reader provides support for contactless smart cards, iClass devices and NFC. NFC-enabled PCs and tablets are expected to be used for authentication, payment, virtual currency transactions, ticketing, advertising, and location-based services and applications, says Broadcom. The new platform may also be used for security devices such as authentication tokens, dongles, and peripherals, as well as in POS terminals. 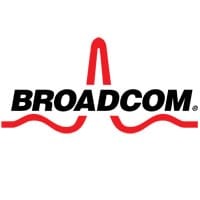 “The frequency and cost of data breaches continue to rise, fueling demand for more secure solutions,” says Broadcom’s Chuck Tato. The new chip can provide a consistent security platform throughout the enterprise, Broadcom explains. It is able to securely store a variety of user authentication credentials and device keys in a “Credential Vault”, where they are all centrally managed, and offer authentication and data protection processes that isolates user authentication from the host computing system. The BCM5882 is in volume production and available now.